Are You Looking for New Car Deals In Calgary? We Have Sedans, SUVs, Trucks, And More At Great Deals! If your family car is starting to get old and unreliable, it’s probably about time that you start looking at the new car deals Calgary has to offer. We all depend very heavily on our cars, and there’s nothing worse than having to deal with an old car which has suddenly broken down or refused to start, throwing your entire day into complete turmoil. Lots of people like the idea of buying one of the new cars for sale in their local car dealerships, but simply feel that they don’t have the money to make that kind of investment. But if you know where to look, investing in a new vehicle doesn’t have to break the bank. 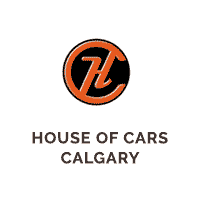 Here at House of Cars, we’re proud to offer some of the very best new car deals Calgary has available, meaning that our customers can purchase top-quality, brand-new vehicles that have come straight out of the factory and into our dealership, at some of the lowest prices available on the Canadian market. Calgary residents who don’t have the best credit score have another obstacle to face before they can think about buying their new vehicle. It’s one thing finding a dealership with affordable prices on great cars, but unless you have the money saved up to buy a brand-new car outright, the chances are you’re going to have to get auto financing – and many people think that this is impossible without a great credit-rating. You’ll be glad to hear that this is in fact a common misconception. The highly trained team at our Financing Department work closely with many of our customers to help them understand just how many great financing options they actually have at their disposal. Once a customer has decided on the best option for them, they can swiftly and easily get access to the funding they need to complete their purchase. So regardless of whether you’ve had financial troubles in the past and have had to declare yourself bankrupt, whether you’re a student or self-employed person and you struggle to prove that you have a reliable source of ongoing income, or whether you’re simply new to Canada and don’t have a traceable financial history here, you can be entirely sure that financing is available, and there’s absolutely no need to put off investing in the vehicle of your dreams. If you’re looking for the best new car deals in Calgary, you’ve come to the right place. Here at House of Cars, we’ve built our excellent reputation in the industry by maintaining the highest possible standards of functionality, safety and aesthetics in each and every vehicle we sell. Our cars come with free CARPROOF, a mechanical fitness inspection, and there are also comprehensive warranty options available to give our customers maximum peace of mind. Get in touch with a member of our team to find out more information or visit us at one of our locations across Calgary and the surrounding areas.